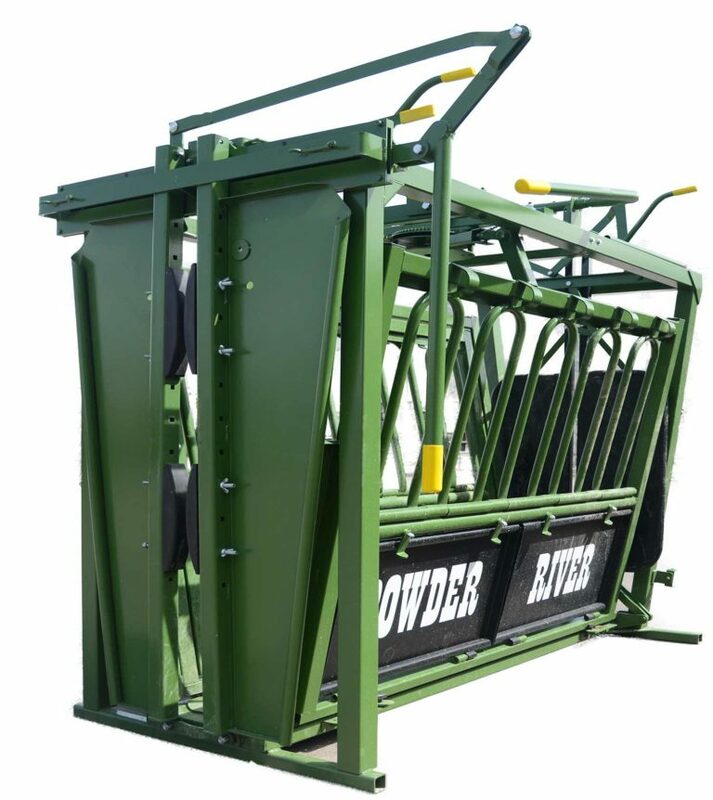 The M2000 is the latest generation of the most popular chute ever sold. 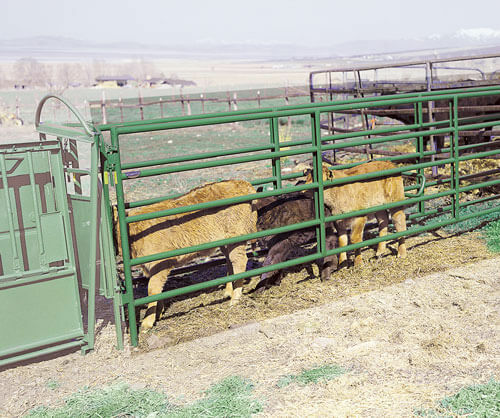 The Powder River Manual Headgate is easy to close and release. The new linkage allows for more secure catches with stops every ½ of an inch. The headgate and center squeeze both utilize rack and pinion mechanisms that aid in keeping operator and animal away from moving parts and dangerous linkages. Lever releases on the center squeeze and the headgate make releasing animals easier than ever. The tailgate linkage allows operation from the front or rear of the chute. And a side exit release is included on all 2000 series Powder River Chutes. The new low profile floor adjusts easily from 15.5” to 6.5” in width.